I find it very agreeable to step out of my routine now and again – I find it invigorating. 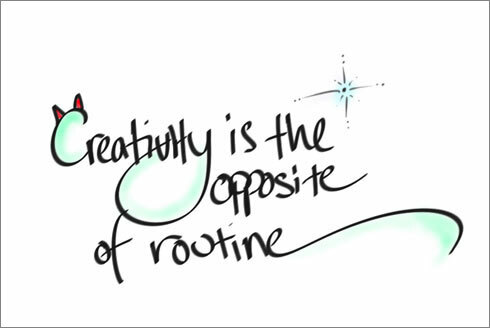 Routine can become so, well. Routine. Hours slide into days slide into weeks, months, into years even. And with it comes a slow choking indifference from whence people start to concentrate on the minutiae. The mundane details become all important. Like the colour of ones curtains or the all-important desire to renovate the bathroom. I am amazed, yet sadly in a way not surprised at the popularity of home improvement and cooking shows. Since when did the salt encrusted cooking of a chicken become high entertainment? I suppose it has been gaining in popular importance for some time without me noticing – only switching on the television once a week at best does keep me out of the loop with these things. And the less I am involved the more absurd they seem to me. I mean really?! Is it a mark of civilisation to reward him or her of the best soufflé? It is all linked in to the day to day existence one leads no doubt. Perhaps the more embroiled you are in the house and the mortgage and the kids the more pressing it becomes to keep a happy, immaculately decorated and creatively fed home. I feel on the outside of this being both mortgage and childless. Boyfriend-less much less spouse-less to boot. But it is like a club – and if you are on the outside of it woe be to you that passes comment let alone judgement on it (not that I usually do). Nor am I going to start now – it is just an observation. An ‘outsider looking in’ comment in full understanding that the path anyone is on is pretty all consuming – that is just human nature – and I too am guilty of it within my own reality. My very current reality is sitting in a ‘hotel’ room (I use the term quite loosely – it is more of a backpackers really – it is just that I am in a place poor enough that backpackers can afford a room to themselves) in Seminyak in southern Bali after a hard days indulging and wandering and observing. There are many scrawny looking dogs about (Bali street dogs fund) – most with ragged collars (presumably proclaiming their ‘pet’ status despite their bulging ribs and mangy coats) but I still feel wary of them in light of the fact that since the first reported case of Rabies on the island in 2008, 200,000 dogs have been culled and a very modest estimate is of 100 hundred human deaths from the disease in the first two years since it was discovered. 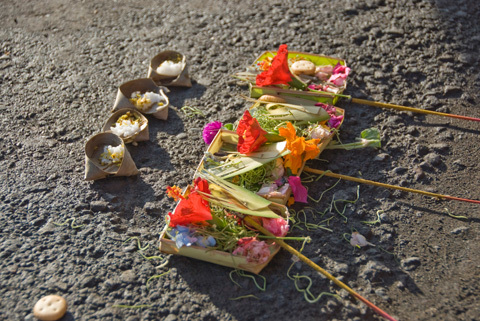 On every street, in front of most building there are little palm leaf offerings to the Gods filled with rice and frangipanis and other things like lollies, incense and cigarettes. They look beautiful in the morning and by days end are weary and making nice snacks for afore-mentioned scruffy dogs. This morning when I bought a sim card for my telephone (after an unsuccessful attempt last night but today with success) the young man and woman that I bought it from remembered me from last night and when I responded in kind to their enquiry of how I was, the girl said fine but the boy said she was a bit sick. I commiserated – and he elaborated that she was sick in the heart while smiling at her cause he was teasing her – but after my own share of the pits of romantic heartache I felt for her and said “Ahhh” shrugged my shoulders “All you can do is wait”. They both seemed to think this was a very fitting response. To be fair there is also a whole tribe of people who are travelling not as an ego trip but out of genuine and prevailing interest in the world around them, the happy shiny people whose smiles you catch as your paths cross here and there. Some of them look mighty cute which is an added bonus! I like to think I fall into this category – not in cuteness but genuine, happy interest in the world! In said supermarket it was interesting to note the high proportion of ‘variety items’ of a huge selection from beautiful carved wooden spoons to bottle openers and keys rings(also wood) in the shape of penises replete with testicles to electrical goods and ‘I love Bali’ pencil cases. If you bought one of these ‘variety items’ not ‘off the shelf things’ (I bought a power adapter) you have to have someone handwrite you a receipt which you take to the counter along with your chocolate bar and hair conditioner – hand written receipt for the former, barcode for the latter.. I am not sure why. I went to the beach yesterday morning but wasn’t much inspired by the hordes of beach umbrellas for rent, mums begging while their kids try and sell leather wristbands and ice-cream vendors so haven’t returned. But feel sure I will find a nicer beach elsewhere. There are an amazing array of both kitsch and impossibly cool fashion stores lining the streets of Seminyak but while lots are local, lots are straight outta China – is there nowhere the industrious Chinese consumer item hasn’t ventured? Evidently, even the Himalaya isn’t spared – a friend is travelling up near Manali in Northern India and has been interested to keep an eye out for local handicrafts but even there on the rooftop of the world local products are far outweighed by pap brought back by local Tibetans from travels to China. I am getting quickly used to the currency and have managed to spend a fair bit of it already – almost exclusively on tasty food and accommodation highlighted by a pampering session to celebrate the beginning of my ‘holiday’. I did need to give beggars en-route to the day spa offerings to placate the decadence of said indulgence. Outside the phone sim card the only other notable thing I have purchased is a copy of the newest (yes – the last! – I missed catching it at the cinema before I left Oz) Harry Potter movie on DVD for 10,000 Rupiah – approximately AUD $1.50. This was from a whole proper store dedicated to pirate films and music – I asked if it was of decent quality and was assured that, although the top row was still ‘not good viewing’ my choice (which was second from the top) is excellent.. I am yet to watch it and find out. I have been happily biased towards a vegetarian restaurant I found called “Zula Vegetarian Paradise” which has the motto “Nothing with a face or a Mother” and upon whose hotspot I now use – having got in with the password ‘vegetarian’ (my kinda place!). I have noticed that although the food I have encountered here and in general has been delicious – I can’t help noticing that the serving sizes are much MUCH smaller than at home. A more realistic size I think – I remember when I arrived back in Australia after about 6 years overseas I was appalled at the huge quantities on offer at restaurants – however slowly but surely started to be able to finish everything on my plate…. And we wonder why we have an obesity epidemic, when everyone is in competition for the largest servings.. Please. Don’t supersize me! Most of all, the ready Balinese smiles I have encountered have been genuine and very beautiful. It is lovely to see how naturally people seem to dance or sing in subtle and obviously perfectly natural ways. Such a nice trait! Well, thats about it for an ‘off the top of my head’ recount of first impressions. I haven’t really started looking about in earnest yet – more just getting my bearings and sleeping a fair bit to recuperate from all the work in the lead up to getting here – ugh and coping with transit. I love travelling but hate security at airports – all that unnecessary removing and reapplying of jewellery and shoes and throwing away of perfectly good toothpaste because apparently it is too large and you might be scheming to somehow blow up the plane with it or perhaps take the pilot hostage in an aggressive display of clean teeth and fresh minty breath. Ah well – in any case, now I have a lovely new tube of Indonesian toothpaste (not too big of course) with an extravagantly smiling couple on the front – I am liking those happy grins – seem like a portent of good things to come. 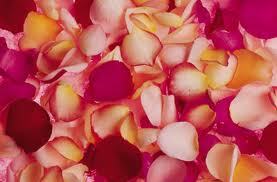 And I am looking forward to setting off again tomorrow – I have had some good sleep, a massage and a warm bath totally decked out with pink and red rose petals!! 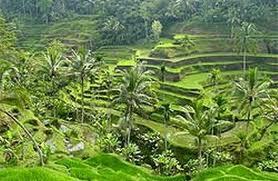 Time to head out to Ubud – centre of the Arts and bedecked with rice paddies and temples. 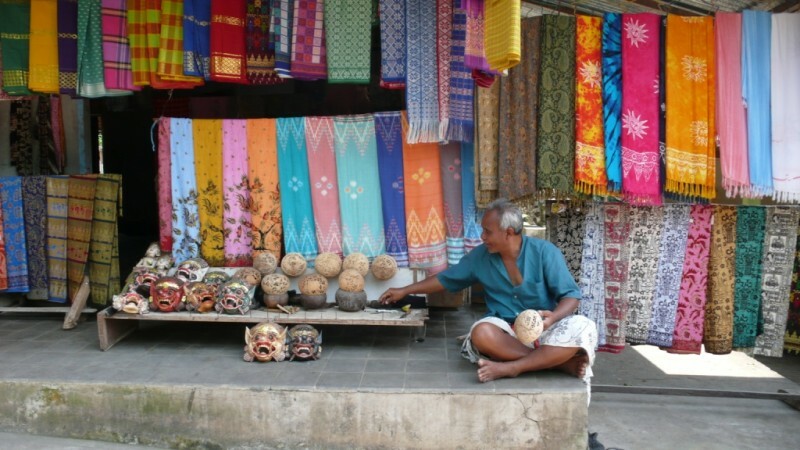 Ubud is famous for its traditional dance and musical performances, its silversmiths, woodworkers and artists in general. There are also a number of Fair trade co-operatives and art galleries I am keen to check out. And I saw on a community noticeboard that tomorrow evening there is a dance lesson there which I would like to attend – a fusion of tribal belly dance and traditional Balinese dancing! Hey Emily check out Threads of Life beautiful co-operative with all the right contections with communities. 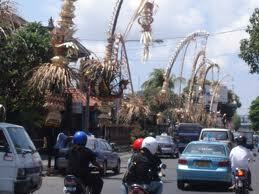 Sounds like you are having fun and enjoying the sites and sounds of Bali. Look forward to more posts!!! !